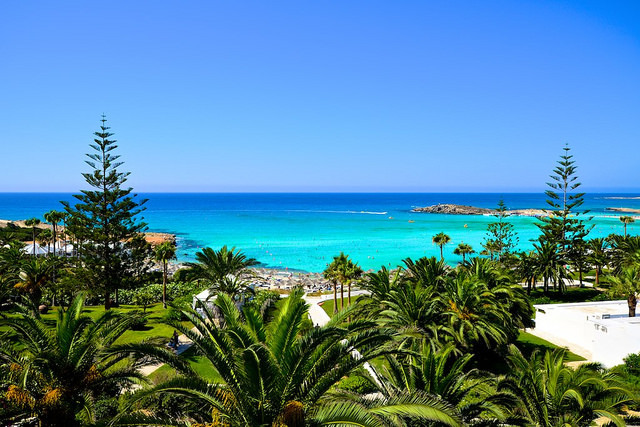 Cyprus is the third largest island in the Mediterranean sea, and is a place which has a large variety of blue flag awarded beaches. The blue flag is a certification which recognises the environmental quality and water cleanliness of bathing sites, and Cyprus’ beaches continuously rank highly when measured against other seaside spots in Europe. You can find everything on this island – from dark and light sands and private havens, to populated strips, motionless waters and wild, untamed seafronts. When viewing Makronissos beach from above, because it joins together with the neighbouring Dome beach, the peninsula forms the shape of a dolphin tail. Chalky white sands form a soft and alluring walkway into the azure ocean and a two minute walk through the lush green shrubs leads visitors to a more secluded stretch of coast. The peninsula is home to a variety of interesting rock formations. An archaeological treat in the form of some ancient tombs makes an interesting attraction, a site which is available to visit for free on the tip of the peninsula. Coral bay is a true sun-worshiper’s paradise where golden sands lay nestled within a medium-sized cove and are protected from strong currents by the surrounding cliffs. Coral bay offers a wide range of umbrellas, sun loungers and watersport options. The coast is incredibly family-friendly, and the blue flag winning waters here are clean and safe for swimming. Controlled development of the area means the resort has maintained the majority of its charm despite its popularity with tourists. A bite to eat is never far either, and a vibrant selection of restaurants and bars can all be found within walking distance. 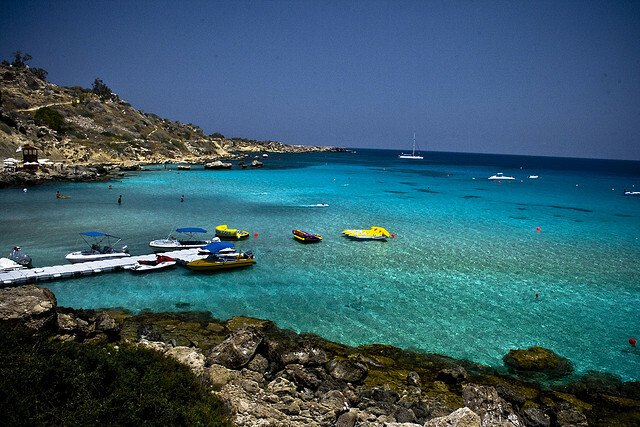 Despite Nissi beach’s reputation as a stretch of sand that never sleeps, its natural beauty is undeniable. Arguably the best beach in Europe, a large curve of white sand creates a cove of beautifully clear and shallow waters here. When the tide is low in winter and spring, a sand walkway is unveiled from beneath the water, a path leading to the small island of Nissi from which the beach takes its name. The walkway makes it possible to cross over to the island which is inhabited by small shrubs and pretty plants. 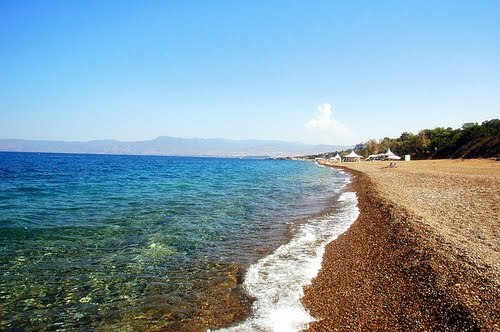 A stroll along the promenades of Akti Olympion proves it is possible for a city beach to be worth visiting. 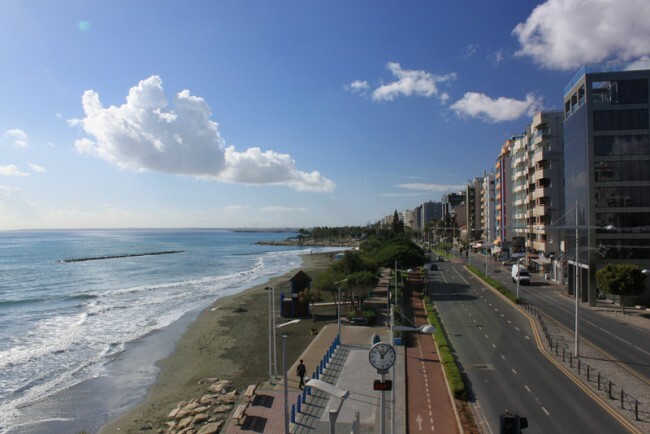 This beach began life as a thin strip of pebbly sand, and, after much restoration and regeneration work, Limassol’s seafront area has now been transformed into the bustling and attractive city center it is today. Pristine waters and over two khilometers of silky sand make this an attractive spot for anyone wishing to take a relaxing coastal stroll. 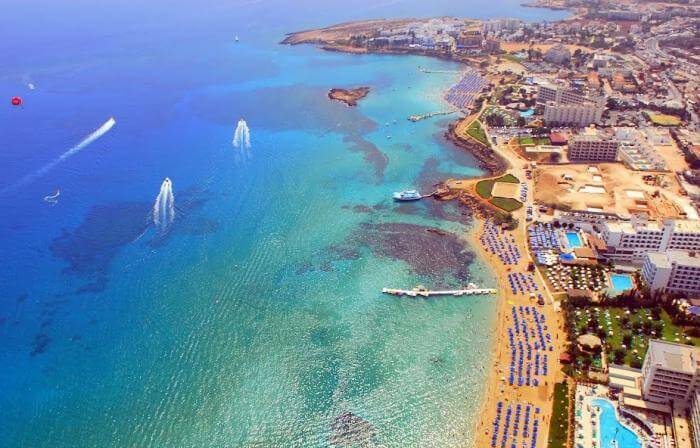 For a good mix of tourists and locals head to the stunning Fig Tree Bay; these golden sands are truly a Cypriot must see. Getting its name from the idyllic fig trees which line its coast, this stretch of sand is breathtakingly beautiful. Once revered as the third best beach in Europe, the islet here is home to shallow waters and picturesque paddling pools, making it an ideal place for children. Found almost exactly halfway between Protaras and Agia Napa, Konnos Bay welcomes a mix of visitors. This small cove has a modest amount of reasonably priced umbrellas dotting its sands, and the water here is always calm due to the sheltered position of the bay. Visitors in the early part of the year will be able to enjoy the lush seasonal greenery that takes hold of the surrounding cliffs, and the water is warmest here from late spring to early autumn. 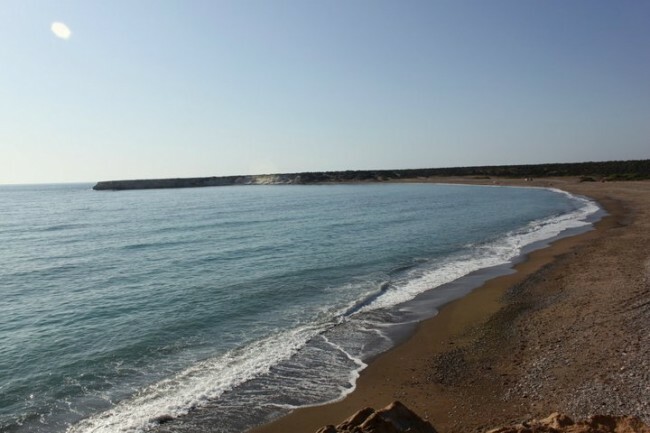 Another coastal spot which is often less well known amongst tourists is Latchi beach. A mixture of powdery sands and small pebbles form the coast here, and the lack of excessive facilities mean it is the perfect location to bring your own umbrella and enjoy a picnic. The waters are clean and undisturbed so sit back, relax and take in all of the impressive natural scenery which surrounds the shore. 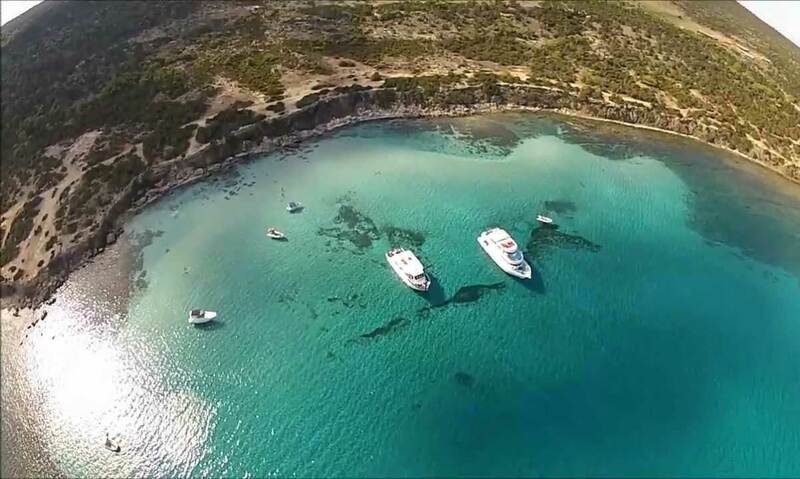 The enthralling turquoise waters of Blue Lagoon Akamas are so vivid they seem to glow. Frequented by small boats and yachts, this natural treasure is found on the north coast of the island. Reachable by 4×4 or by boat, the wild terrain has been shielded from commercial development which has allowed this beautiful environment to remain pristine. Snorkelling is popular here due to the variation of underwater environments. For a bird’s eye look of the lagoon head to the nearby mountains which provide views spanning the entire coastline. 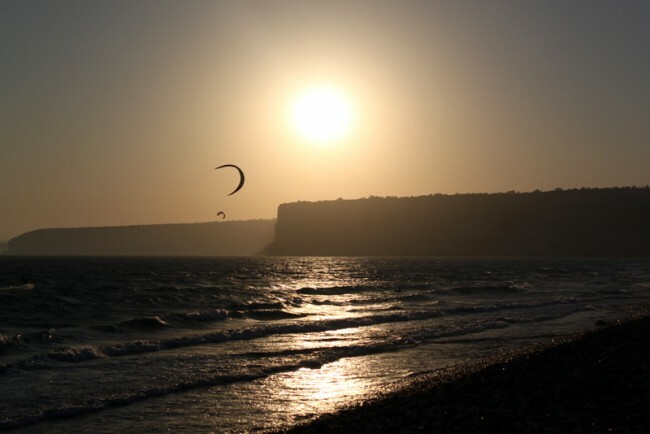 Offering a stark contrast to the typically calm waters found throughout Cyprus, Episkopi is famed for being a popular destination for kite surfers as the winds here make this region ideal for the sport. The looming limestone cliffs only add to this dramatic landscape, and, as they are overlooked by the ancient ruins of Kourion, they are undoubtedly the best place to observe the beach from above. Strong currents mean swimming is off limits in the east part of the coast, yet wading into the waves further along is perfectly safe, and bobbing with the tide is surprisingly relaxing, not to mention a little more exciting than a typical dip in the sea. Rugged and untamed, Lara Beach lays north of the popular coastal resort of Coral Bay. Although you may need a fair amount of time and a 4×4 vehicle to reach this isolated landscape, what the sandy cove lacks in accessibility it makes up for in privacy. The absence of nearby artificial light makes this site a popular nesting spot for Green and Loggerhead turtles, whose nests are easily identifiable as they are clearly marked out by volunteers. Large foamy waves tumble onto the exposed shoreline, creating a perplexing foreground to compliment the unparalleled sunsets which descend onto the scene late in the evening. Our customer service team will be very happy to answer any questions you have about Car Rentals Cyprus. Cyprus… One of the safest places to choose! Have you been to the Cedar Valley? YERAMBELOS WINE.. OUR VERY OWN PRODUCT! 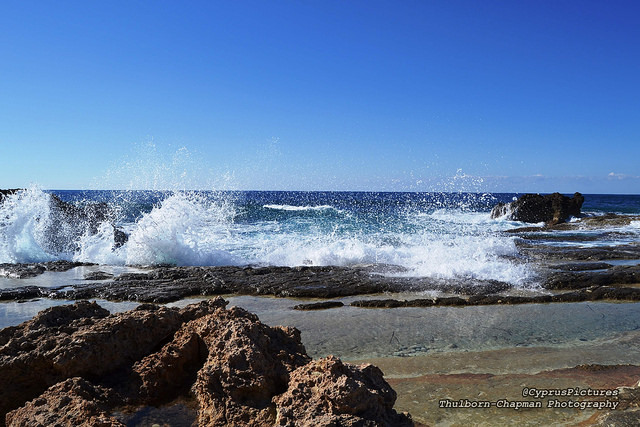 The Paphos “Amazon” – Where is it? What does it look like? Wine routes that are a must for wine lovers!!! 7 Christmas Car Decorations from around the world people actually use! 7 car repairs you should NOT ignore!